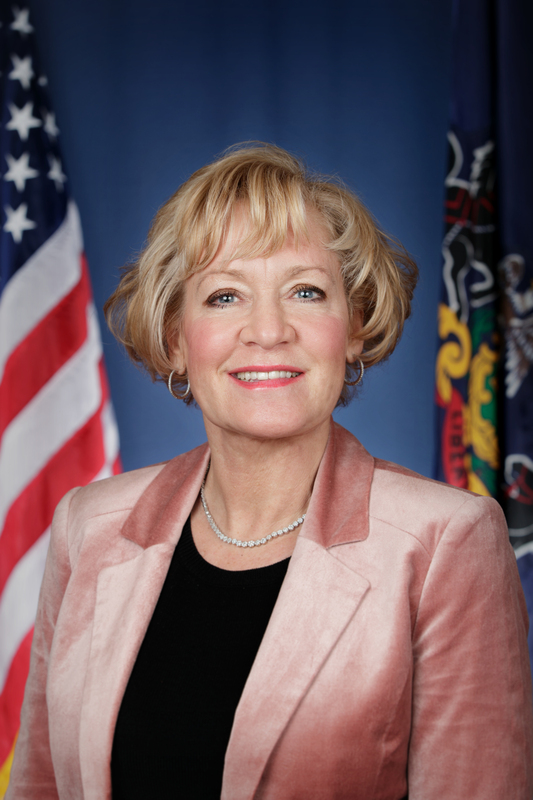 HARRISBURG — Jan. 27, 2016 – In opening comments to fellow state Senate Transportation Committee members, Sen. Lisa Boscola (D-Northampton/Lehigh) today urged approval of her legislation that would require truckers to remove snow and ice from their tractor-trailers before driving. Under her bill (Senate Bill 94), truckers would be required to make “all reasonable efforts” to remove accumulated snow or ice from their rigs before driving. If a police officer determines that accumulated ice or snow “may pose a threat to persons or property,” a driver could be fined from $25 to $75. Boscola said current law only applies if ice debris causes serious bodily injury or death (fines ranges from $200 to $1,000 for each offense). She said her proposal would strengthen the existing law by deterring drivers from leaving ice on their trucks — preventing tragedies before they happen. “It’s a proactive approach to addressing the serious safety issue”, the Senator added. Boscola said her legislation was prompted by the tragic death of a local woman, Christine Lambert, who was killed by an 8-inch chunk of flying ice while driving to visit her family on Christmas Day in 2005. Boscola has re-introduced the legislation in every ensuing legislative session. 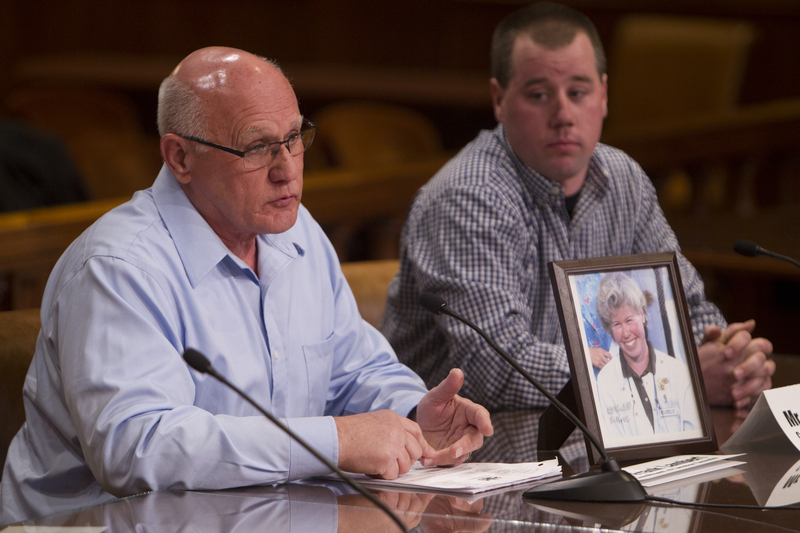 Lambert’s husband, Frank Lambert, testified at the hearing, discussing the horrific incident and the impact on his family. Boscola openly offered to work with the trucking industry over its concerns that the bill might be too onerous or difficult for truckers to adhere to in certain situations. EDITOR’S NOTE: Attached are two web resolution photos of (Sen. Lisa Boscola at today’s hearing), and (Frank Lambert testifying before the committee). 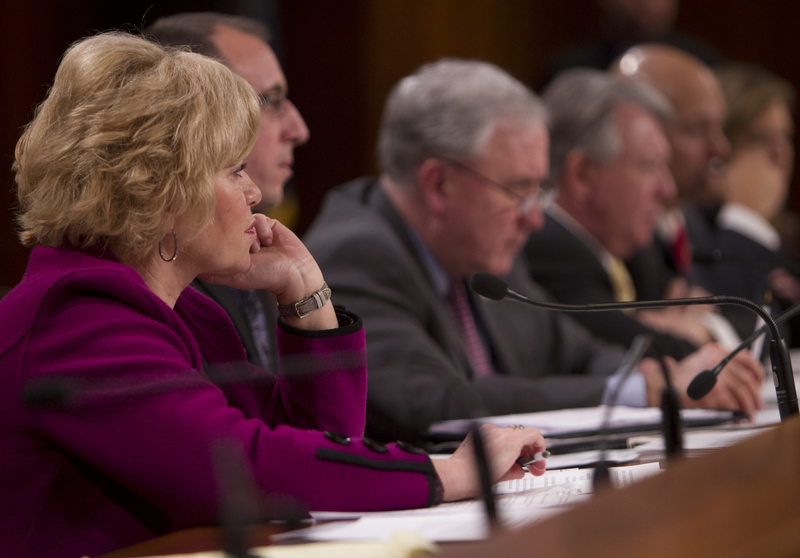 Please contact ctocci@pasenate.com if you need high resolution versions of these photos.